While sold as supplements and available to purchase online or over the counter, these are in fact very potent compounds and often have the same or greater side effects/toxicity as “proper steroids” such as Dbol and Winstrol. SARMs are noted for their lean gains, so PH/DS’s like Superdrol (SD or Mdrol), M1 4add, M1T, Phera Plex are not appropriate for compariosn as these are much more toxic, often “wet” (in that they cause bloat) and generally produce more gains with more potent side effects. More appropriate comparison’s are with the PH/DS’s that give lean gains, such as Tren, Epistane and Hdrol. Tren was a popular Pro hormone consisting of the compound estra-4,9-diene-3,17-dione/19-Norandrosta4,9diene-3,17dione. Users typically looked to gain 6-12lbs or 3-5kg Over a 4-6 week period with typical reports of 60 percent remaining after pct. An Ostarine cycle of 25mg over the same period will typically produce 6lbs or 3kg, less than Tren however as these gains are completely keepable, after PCT the total net gains seem to be quite comparable. -Great sense of well being while on, with out the agression of Tren (which can often detrimentally impact users daily lifes). -No need for a long time period off between cycles, the recomended time of period for Tren would be Time on + PCT, so for a typical 6 week cycle and 4 week PCT, a user would have to wait another 10 weeks post PCT to start another cycle. Hence, an Ostarine run at 12.5mg to 25mg a day for 4-8 weeks would be an option for the first time user as alternative to running Tren for a similar period. Read the full article about SARMs Vs Tren here. 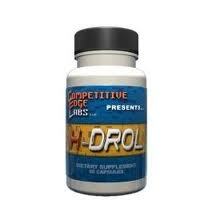 Hdrol is a popular Pro hormone/Designer Steroid consisting of the compound 4-Chloro-17a-Methyl-Androst-1,4-Diene-3-17b-Diol. Users typically looked to acquire gains ranging from 10-15 lbs or 4-6kg over a 6 week period. An Ostarine cycle over the same period will typically produce 6lbs or 3kg, less than Hdrol however gains are readily keepable, and obviously without the side effects or extra costs of cycle support products or extensive PCT protocols. 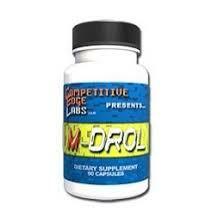 -High oral biovailabilty without the damage to your liver as with the methylated Hdrol. -No need for a long time period off between cycles, the recomended time off period for Hdrol would be Time on + PCT; so for a typical 6 week cycle and 4 week PCT, a user would have to wait another 10 weeks after PCT to start another cycle. Hence, an Ostarine run at 12.5mg to 25mg a day for 4-8 weeks would be a great recommendation for a user as an alternative to running Hdrol for a similar period. 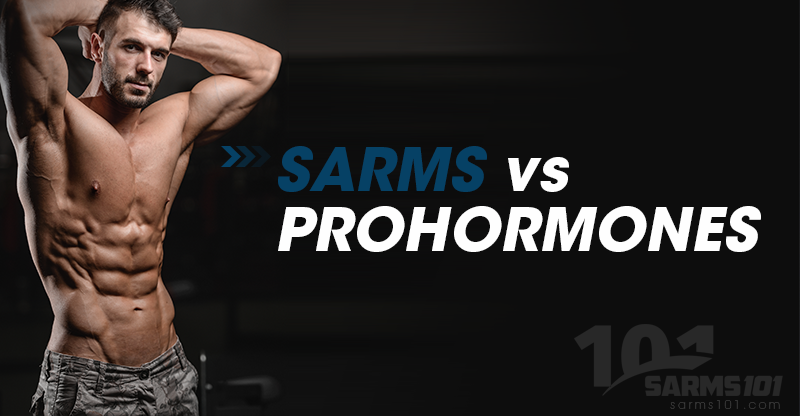 Read the full article about SARMs Vs Hdrol here. 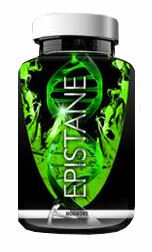 Epistane and its clones are a popular Pro hormone/Designer Steroid consisting of the compound 2a,3a-epithio-17a-methyl-etioallocholan-17b-ol. Typically gains range from 8-15 lbs or 3-6kg on a 30-40mg dose over a 6 week period. An Ostarine cycle over the same period will typically produce 6lbs or 3kg, less than Epi however gains are readily keepable, and obviously without the side effects or extra costs of cycle support products or extensive PCT protocols. -There is no need for on cycle supports such as milk thistle for the liver, policosanolor RYR for cholesterol etc. -The response rate (users who make gains from Epi) is also very hit and miss. In conclusion, an Ostarine run at 12.5mg to 25mg a day for 4-8 weeks would be a great recommendation for the first time user as alternative to running Epistane for a similar period. If you’re thinking of using epi with goals of cutting, then it seems that you are likely to get the same or better results from running S4 at 50mg for a similar time period. Read the full article about SARMs Vs Epistane here. In conclusion, the average first time venturer into the world of anabolics who has not ammased a range of knowledge on PH/DS supplementation, would be much more recommended to pursue a cycle of either Ostarine or S4. A SARMs cycle, most notabley Ostarine run at 12.5mg to 25mg a day for 4-8 weeks would be a great recommendation for the first time user looking to gain some lean, keepable muscle mass. If however you are looking for greater gains, (especially whilst on cycle) and are knowledgeable on all the side effects that arise form using PH/DS’s, have the proper support supplements to deal with these sides and have a stringent PCT protocol with prescription SERMs like Nolva or Clomid to hand, then you would be generally be more inclined to run a PH/DS cycle. In this instance, SARM use, most notably Ostarine would then be ideal to use in PCT in conjunction with Nolva/Clomid following a PH/DS cycle. 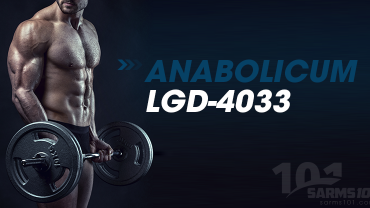 Learn more about SARMs use in PCT here. It must still be stated that a typical user who has previously used PH/DS and wants to run something more mild either between cycles or standalone would do well on 25mg of Ostarine or 50mg of S4 for lean keepable gains. Learn more about Ostarine cycles here or S4 cycles here.